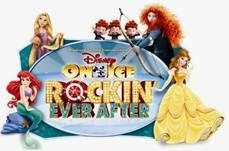 Disney On Ice presents Rockin’ Ever After SLC! My Family is pretty active, my husband plays any and every sport that he can, I workout and always intend to run, and my children, well are children they play sports and even when they don't play sports they are non stop active or always getting injuries and in need of a ice/heat pack :) So when I found out about Thera.Pearl and was given a chance to review their sports pack I was delighted! "The Pearl Technology® contained in every THERA°PEARL pack is game changing innovation born of an age old therapy. Crafted by a doctor who knew she could offer her patients something better than a bag of frozen peas, THERA°PEARL was designed with you in mind. Whether chilled or heated, Pearl Technology conveniently holds its temperature for the doctor recommended time of 20 minutes and conforms to your body to deliver the perfect relief from your aches and pains. At THERA°PEARL, we recognize it’s all about giving people the opportunity to see and interact with our product. When they do, they love it. Unlike other products, our high quality clear packaging showcases the product inside, and our poke hole allows people to feel the difference for themselves. The distinct ornamental appearance of our pearls is our trademark, and it’s how consumers recognize our product in stores." 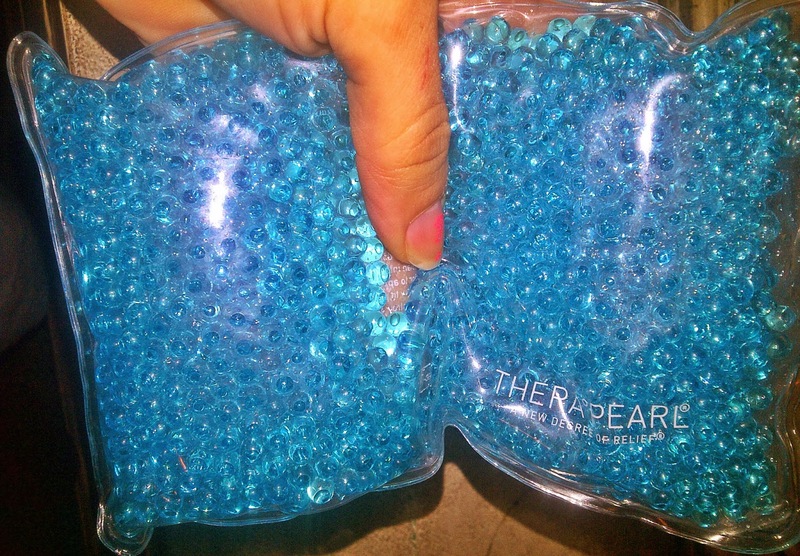 First off I love this over any other Ice Packs that i have ever used, the little pearls freeze nicely but do not become a solid chunk of ice that is hard to manipulate in the right position, with Thera pearl the little pearls, even when frozen move freely to form to your body to comfortably sooth your aches and pains, and it does not leave a wet dripy mess like most others! Also Heating this Pack is so easy just 30-40 seconds in the microwave and it's warm and perfect for sore bodies! These are hands down the best ice/heat packs that I have ever used with myself or my family! Thera Pearl has a whole line of amazing products for all kind of aliments ranging from eye mask to back wraps and even cute little packs just for kids! 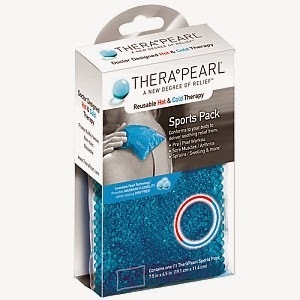 Overall If You are Looking for Some Good GREAT Quality Ice/Heating Packs Thera Pearl is your Place to Go! Disclosure - Per FTC Regulations, I am disclosing that I received product(s) from this company/website, free of charge, for review. I was in no other way compensated for my review. The views expressed in this review are my own, honest opinions and any claims should be verified on the sponsor's site.